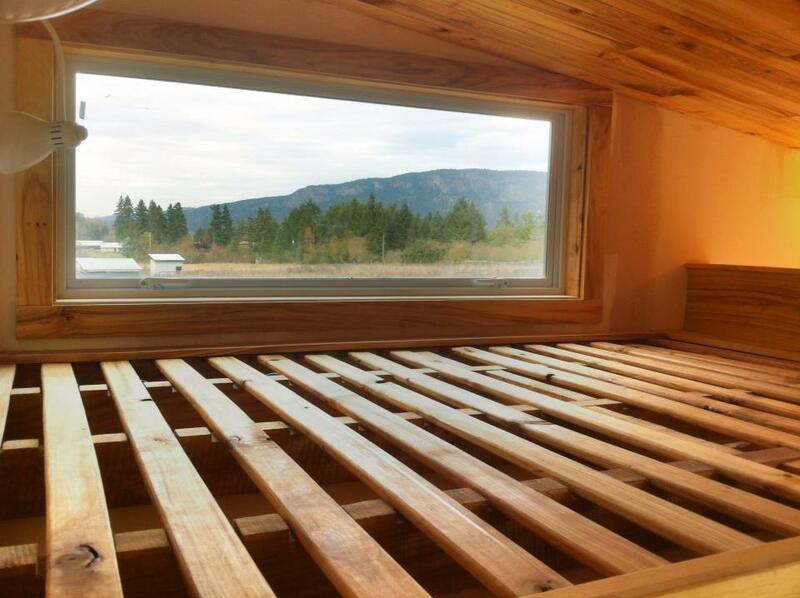 This article will discuss preventing mould in tiny homes that are custom built. Usually on wheels, but much of this could apply to lane houses and other tiny homes not on wheels (though I don't discuss foundations here). This will apply to some prefab but not all types. Very few people hire an architect, engineer or other building science expert to design the system. 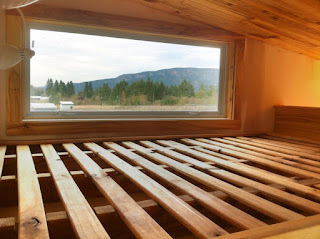 Many tiny home companies are new and the builders lack experience or are not experienced enough in all aspects of building (from plumbing to roofing, to installing heat pumps, to insulation, and moisture management). The DIY movement is a problem because the size of the home makes it seem like you can do it yourself, yet you still need all the knowledge of all the contractors: electricians, plumbers, roofers, architects etc. to build a house. The size of it does not necessarily make it simple! DIYers ofter learn from other DIYers via the internet, copying others' mistakes. The movement is new and it can take 10 years for some mould problems to show up. Most tiny homes do not need to follow building codes. Almost anything goes in most places, resulting in poor building practices. Homes are built in one climate and shipped around the US and Canada to other climate zones where the moisture management system may not fulfill its function. Owners may also move the house to a different climate zone. Only one year warranty on many houses will not be long enough to cover mould issues. Many tiny homes I have seen have simply invented wall systems that would never be used in a regular house. I have seen major problems with the moisture management systems such as vapour barrier errors, and smaller but still problematic practices like lofts built with mattresses right on the floor with no ventilation, and inadequate exhaust fans. Lack of attention to detail that comes from inexperienced builders or those not concerned about mould. Building by prioritising non-toxic materials over building the correct moisture management system (because you remove or replace a part of the system with something non-traditional). When I first set out to build my tiny house I was mostly concerned with choosing healthy materials that were 0-VOC. It was only after I took the house apart (almost completely) to fix the problems my builder made, that I realised the extent of knowledge needed to build a mould-free home. I thought you just leave the construction details up to the contractor, but my builder (Ben Garratt, Tiny Healthy Homes) made a long long list of mistakes. I lost 100K dollars, my health and housing stability needed to stay healthy and on budget. From interviewing and working with dozens of contractors in my area, I have found one out of a few dozen who was knowledgeable and detailed enough to renovate the house in the correct way. Have an architect (or other building science expert) who specialises in mould prevention design the moisture management system. This is everything from the wall system to the roof, the floor, and the ventilation. They will also need to take into consideration which materials you can and can’t use to design the system. Take the time to do this in detail before you hire your tiny home builder. I can also help with consulting on materials at this stage because the architect needs to know which materials can and cannot be used/tolerated. Extremely detailed supervision. I have fixed everything from my bathroom fan to my walls and roof. Taking my attention away from the project for more than an hour led to mistakes by the contractors who simply do not care about mould prevention. Even if you find a good owner, that person leaves the work to his labourers or subcontractors who are not well supervised. Here you can either hire someone extremely competent to supervise, or you can supervise yourself. If you supervise yourself, take the guidance from your architect, and learn the basics in order to follow those guidelines (or you will be calling him or her every few hours). Make sure the builders have a very detailed plan of how you want things done so that when you come into supervise you are staying on plan. There may be a clash of egos here, but you need your house done right and most contractors do not have the right skills. Of course choosing the right expert to guide you is also important, so before you do that you should be aware of a few different ways to manage mould that are popular and get a few opinions before you decide on hiring someone. Passive house design - Passive house design is a very detailed system that uses a lot of calculations to manage the moisture in a scientific way. You can check out 475 to learn more about this. Wood frame houses versus metal framed houses. Do not attempt to become an expert on these topics from reading about them online. There is not enough information online to become an expert in these topics. You simply want to be informed so you can choose a good architect and understand the system they are designing for you. You may also need to learn enough to supervise the build. Window and door flashing not done in a detailed way. Also beware of 0-VOC peel and stick window flashing which doesn’t fit most codes and is not recommended by the companies themselves for the rough openings. I have also seen windows flashed with housewrap tape and not proper peel and stick flashing. Silicone and other caulks skipped where needed on the exterior due to chemical sensitivities. Having air leaks into the wall cavity. Housewrap not applied to spec - including the overlap and how it is taped. Roof not vented properly (there is some debate here between passive house design and most builders) or double vapour barrier issues in the roof. Putting the vapour barrier on the wrong side. Planning the house to be used with heating but not planning for AC. Proper exhaust fan. Click pic for link. Inventing a new wall system that is not normally used. Make sure you understand your wall system and which direction it dries to. Don’t skip on things like rainscreens (if that is the system you are using) just because it is a tiny house. Not having a professional plumber install your plumbing system. Or reusing old plumbing pieces that could fail on you. Pipes not designed and winterized for the climate causing them to freeze and burst. Not providing the cold and hot water a low point to drain outside. If the power goes out you will need to drain them. You may also want to drain them if you are away. Using wood that doesn't hold up well to humidity in the framing. Putting your mattress directly on a solid surface with no ventilation under it (use slats or a box spring). Using natural latex. See my warning here. Not using a properly sized drainage line on a heatpump. Know how to flush it out, this tends to get clogged with mould. Is mould prevention as important in desert climates? I definitely know not to use a swamp cooler. You still have the humidity you create inside, temperature differences between inside and outside, and I'm assuming it does rain just less. You might get away with more in low humidity but a lot of this still applies. I know how hard it be. Keep making plans to move forward.